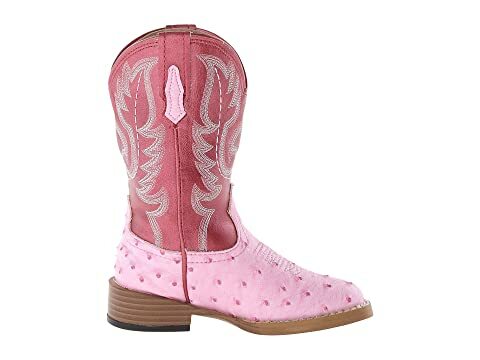 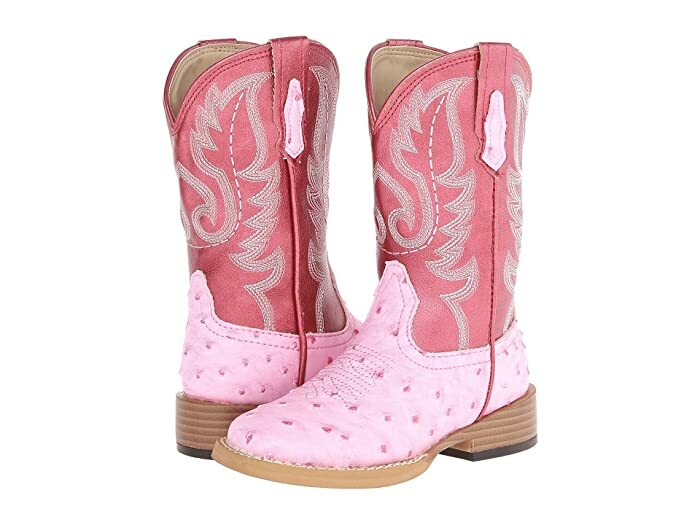 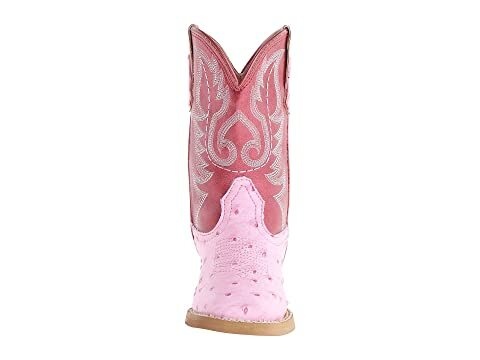 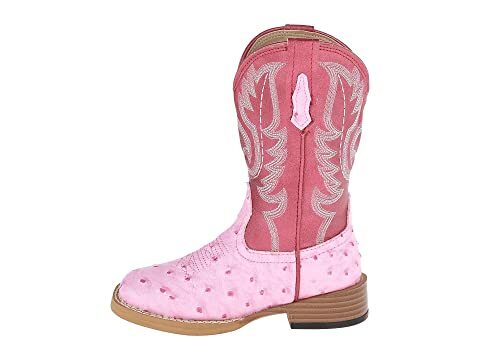 Give your little cowgirl a fun and unique look with these ostrich-print boots from Roper®. 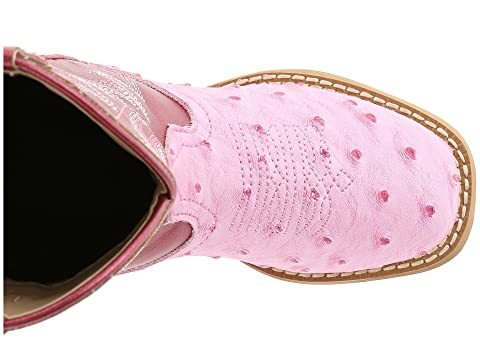 Synthetic leather upper with an ostrich print on foot. 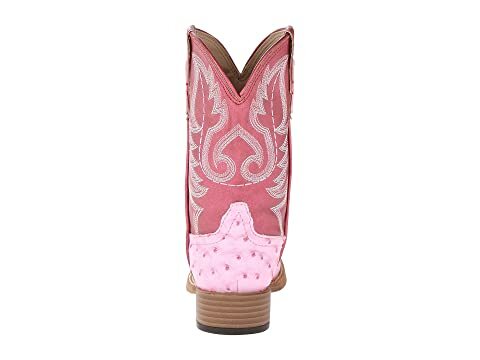 Beautiful Western embroidery on shaft. 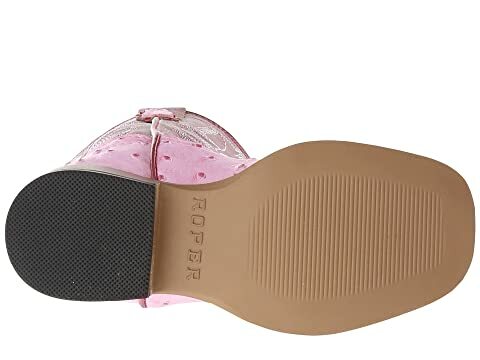 Side pull loops for easy on and off.